Another collaboration with Aria Henderson from SoulSpice Photography out of Canada! This time, it’s her son who wanted to be a mischievous Neptune. She took a picture of him against a gray background in a fun pose holding a simple pole. 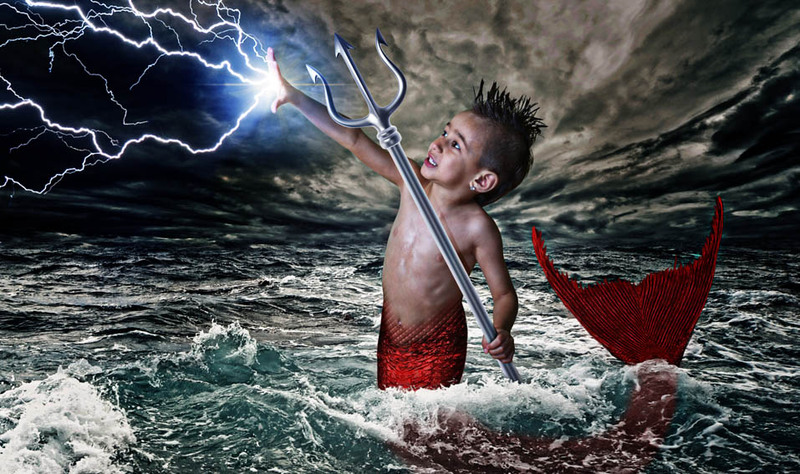 I created the background, added the lighting, trident, and and fish tail, in his favorite color.